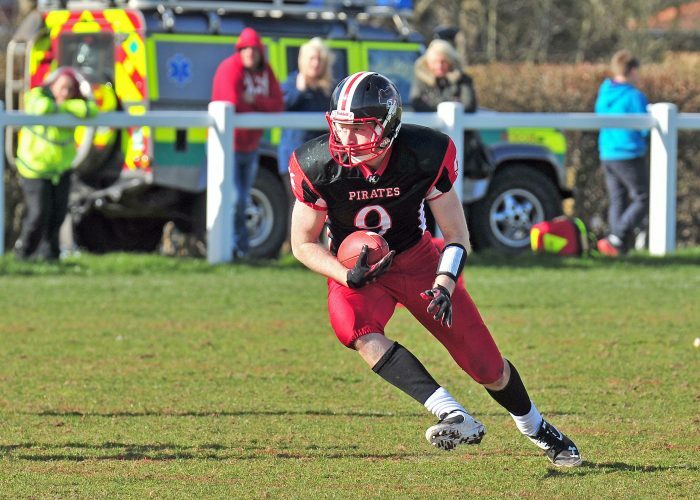 Rob Worboys, a popular player with the East Kilbride Pirates American Football Club tragically passed away in 2016 aged 27 as the result of an undiagnosed heart condition. Every week in the UK at least 12 young people die of similar undiagnosed heart conditions. A staggering 80% have no prior symptoms – just like Rob. 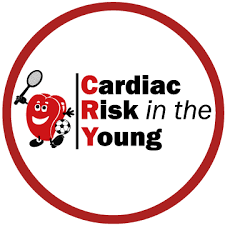 Thanks to the Worboys family and charity Cardiac Risk in the Young (CRY) the Pirates and their host venue of GHA rugby club have a tremendous opportunity for their players and staff aged 14-35 to go through a simple and painless screening procedure to identity any undiagnosed cardiac conditions. Young people involved in sport, in particular, stress their heart the most and if they have an underlying cardiac abnormality, they are more likely to be at risk. 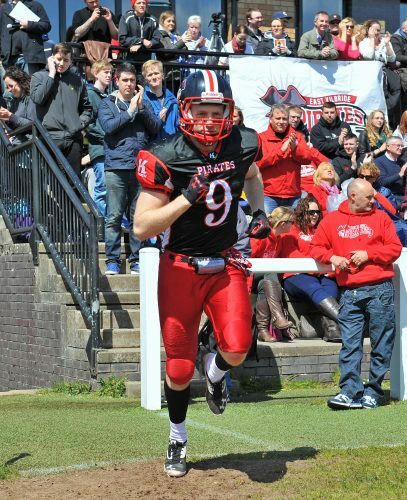 The weekend before their screening session, on Sun 12 May, the Pirates will also be remembering Rob when they play against the Yorkshire Rams– Rob’s previous team before he moved to Edinburgh. This is the first time both teams have been in the same division since Rob passed away, and the game will be played as the Rob Worboys Memorial Game. This is the Pirates’ opening game of the season. A collection will also be made in aid of CRY at the game, and the Pirates’ gameday medical supplier Hart Services have already generously pledged to donate their fee for the game. As Rob was also a coach with The Edinburgh Napier Knights, a testing session be held on Sunday 19 April at Napier University’s Sighthill Campus too. The Knights will also be extending the opportunity for testing to other Napier Students. Since their formation in 1995, CRY has been working to reduce the frequency of young sudden cardiac death. Sudden death syndrome is an umbrella term for the many different causes of young sudden cardiac death. These conditions include thickening of the heart muscle or an abnormal structure of the heart, and irregularities of the impulses that control the rhythm of the heart. CRY promotes and develops heart screening programmes and funds medical research, as well as publishing and distributing medical information written by leading cardiologists for the general public. CRY funds specialist referral, screening and cardiac pathology services at leading UK hospitals. A simple way to diagnose most cardiac abnormalities is a quick, painless and non-invasive test called an electrocardiogram (ECG) which records the electrical activity of the heart. If a more detailed image is required, an ultrasound scan of the heart – called an echocardiogram – can be taken. Any person between the ages of 14 and 35 can book a place at a CRY screening event through www.testmyheart.org.uk. There is usually no charge for the testing. CRY operates screening programmes for the general public (aged 14 to 35) in schools, universities, sports clubs and community health centres.